Relax. Draw, Stitch... Zentangle Inspired Pin Cushion I found a book by Jan Monk, Tangle Stitches, and loved the simplicity of the style that allows the Zentangle elements to shine. 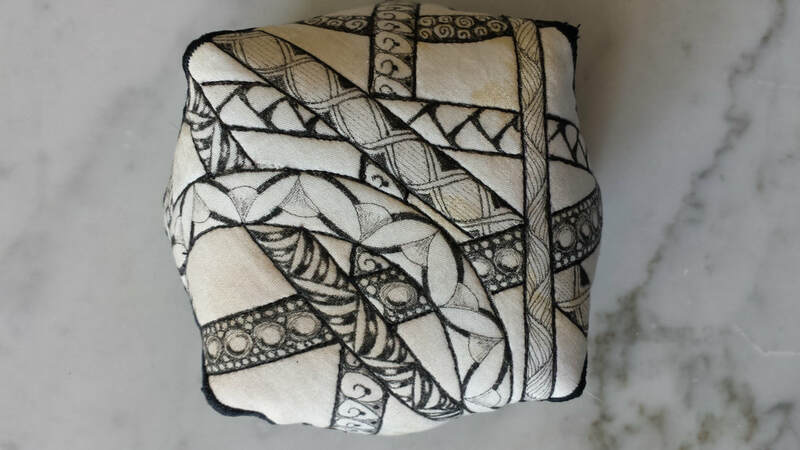 She is a long arm quilter and artist and was inspired to create my own pin cushions. They are easy to make and a great gift. ​Heart Sewing Case - Years ago I was a guest on Simply Quilts with Alex Anderson to share Ribbon Applique. When I travel I always have a sewing case with me filled with a variety of pins, needles and either scissors or a thread cutter. The pattern is easy and also introduces you to Ribbon Applique with several hearts to choose from to embellish your Sewing case. The pattern can be found in the store.